We began hosting the Benchmark Search and Digital Marketing Conference because we wanted to make a difference to the industry and, after four years of successive growth and demand, we think we’re doing that with line-ups of the best speakers in the business imparting the latest and greatest tips and techniques to our attendees. Running parallel to the main event are our panel sessions – we introduced them last year and the opportunity to ask the experts those questions that matter most to your company, and find out how to apply what you’ve learned, was so popular that we’ve made sure they returned. It took 3 years for Benchmark to outgrow its first venue, and this year we’re looking set to fill the Hilton Deansgate Manchester to (a legally permissible level of) bursting. Garufi is returning to the Benchmark stage for the third year – because she’s simply a fantastic speaker with insider knowledge of how Google does business. Her insights have been incredibly to our delegates every year and give everyone gathered the chance to get ahead of the game. An Agency Development Manager at Google, Garufi helps UK agencies with all aspects of their digital activity, with a particular emphasis on growth. Prior to working with agencies, Sabrina was a Consultant for the specialised Global Expansions Team, helping Google’s largest advertisers craft and execute their international expansion strategies. With a background in Finance, Sabrina began her career in banking, working for five years as a Corporate Cash Manager. 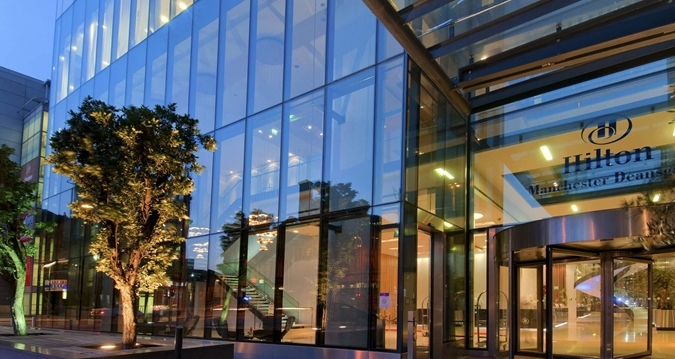 A native of Montreal, she completed her MBA in Berlin before moving to Dublin to join Google. Representing Bing, Ellie England is a knowledgeable and talented speaker able to offer similar cutting edge insights to her Google counterpart. More than that, even, she jumped ship from Google to Bing! Passionate about search, women in technology and making a lasting impact, Ellie began her career in sales working in an inner-city secondary school ‘selling’ the importance of modern languages to disaffected teenagers. She got into the world of search working for Google for 6 years, before eventually relocating to Manchester and joining Microsoft. As a Sales Director for Bing Ads, Ellie has been spearheading the continued investment in the North of the UK and leads a growing team of search account managers. Wallis is a speaker with a global reputation for insightful, thought-provoking yet understandable, and entertaining keynote sessions at major Data, Web, SEO, Semantic Web, and library focused conferences and events. Through these scene-setting presentations, workshops, and facilitated groups, he influences the thinking and debate around these technologies and their applicability to individual sectors and organisations. At the heart of the development of the Schema.org vocabulary, Wallis can tell you why it is driving massive growth in structured data sharing on the web under-pining significant advances such as Voice Search, Semantic Search, & Knowledge Graphs. It will be Wallis’ first outing at Benchmark after we sought out his expertise on one of the most influential and exciting developments in search marketing. This will be Goube’s first visit to Benchmark and we’re excited to see what he brings to the stage, having seen him talk previously at other conferences. Not only is OnCrawl one of the industry’s best and most used tools, Goube is a well-respected and engaging speaker. François has 15 years’ experience of SEO, and is the CEO and founder of OnCrawl, an award-winning Technical SEO Platform. He has a weird passion for analysing Google’s patents and he is also the French ambassador for Majestic. He’s a regular speaker at BrightonSEO, Digital Olympus or SEOCamp’us. Another speaker from one of the industry’s finest tools, Hardwick will represent Ahrefs on the Benchmark bill, bringing a lot of industry experience and enthusiasm along with him. Hardwick is an SEO specialist with over 8 years’ experience in SEO. He’s also the Head of Content for Ahrefs, an industry-leading SEO tool. He specializes in white-hat link building and creating link-worthy content. This year’s conference promises to be the biggest and best yet, thanks in part to sponsors like OnCrawl and Ahrefs – we’d love for you to join us! 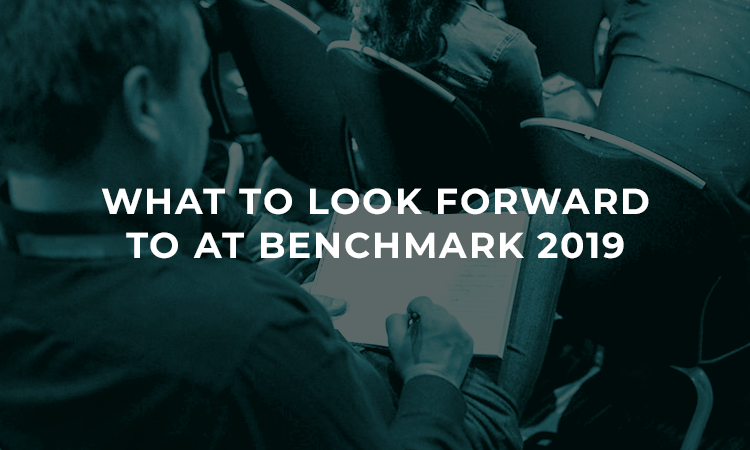 Apply for your place at Benchmark 2019 today! Benchmark 2019 is only six months away!